Finding a private student loan lender is a process that all students that borrow money must go through. Sometimes, you can not qualify for the regular student loans that you want or the student loans that you qualify for are simply not enough to cover your expenses. With rent, food, transportation, books, and tuition, college can get very expensive in a hurry. This means that you may have to find a private student loan lender to help fill in the gap. When this is the case, there are certain lenders that you want to look for. While many student loan lenders are strong, reputable companies, others are far from it. You do not want to get involved with an unscrupulous student loan lender and cause yourself a lot of problems down the road. Here are a few things that you should look for in a private loan lender. 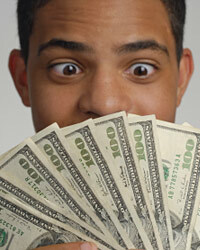 When shopping around for a student loan lender, you want to find one that has a variety of loan programs to offer. If they just have one loan program in their arsenal, it may not be the program that you need. Having several loan programs to choose from increases the odds that they will be able to find something that works for you. You do not want to have to shop around for months looking for a program that will fit your needs. It is much easier to work with one lender that has it all. Another critical thing that you will want to look for in a student loan lender is a good reputation. You want the company that you decide to work with to have a stellar reputation for customer service. You are going to be working with this company for a number of years. You want someone that is there to help you when you need it. Many companies tend to leave you on your own or have problems with customer service. You do not want to get involved with those companies. Check on the reputation of the student loan company before you decide to get involved with them. You can find out a lot about them and their reputation online. Check out customer reviews, forums, and anywhere else that has information about them. If you are dealing with a bad company, you will most likely see plenty of negative customer reviews about them. Something else that you will want to look for in a good student loan lender is low interest rates. Having low rates on your loans can make up for a lot of other shortcomings. Low interest is what saves you money on your loans. With a lower interest rate, you can have a low monthly payment and have a much smaller balance when it comes time to repay the loans. You want to do everything that you can to find an interest rate that is extremely low.